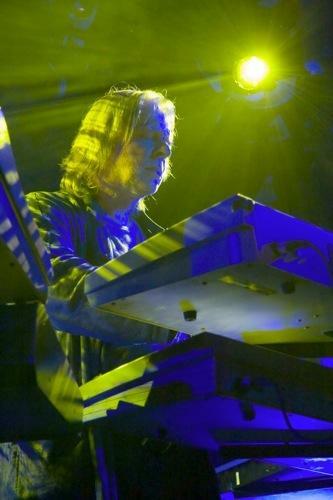 Yes had attracted considerable attention with their first three albums and Rick played a key role in the shape of the group’s fourth record, ‘Fragile,’ with his now unique array of synthesizers, Mellotrons, electric and acoustic pianos. 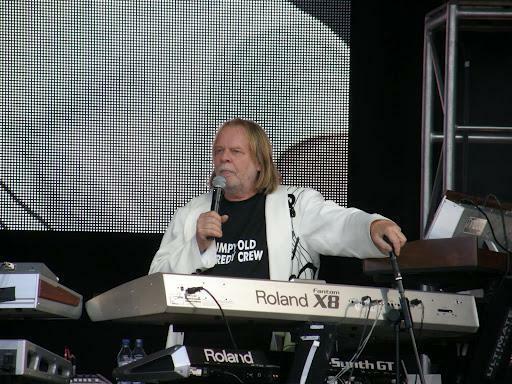 ‘Fragile’ was a huge worldwide hit, driven in part by the chart success of the single “Roundabout” in America, and Rick Wakeman suddenly found himself elevated to superstar status. In 1975, Rick’s next album, ‘The Myths and Legends of King Arthur and the Knights of the Round Table’, was given a grand-scale premiere at Wembley’s Empire Pool with a full orchestra and choir and a cast of more than one hundred ice skaters performing around a giant castle which had been purpose built in the centre of the ice rink! 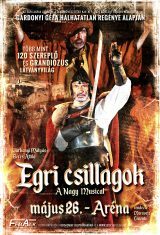 King Arthur was performed for three nights and has become a major part of rock ‘n’ roll folklore. 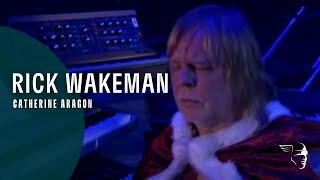 During this same period, Wakeman began working on film scores, (he has since notched up over 20 scores), which included that of Ken Russell’s ‘Lisztomania’, a film in which he also appeared as the God ‘Thor’. 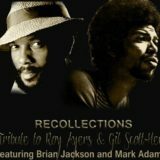 Rick continued to tour extensively in ’76 whilst releasing another highly acclaimed album, ‘No Earthly Connection’. In November 1976 he also returned to Yes to record “Going For The One” in Switzerland, while his solo career continued with A&M until the end of the 1970’s, with the release of two further albums, ‘Criminal Record’ and ‘Rhapsodies’. 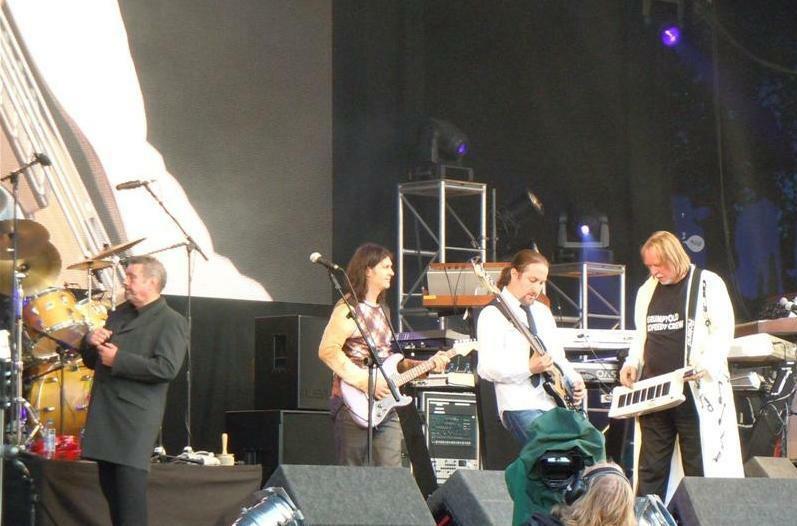 Leaving YES at the same time as Jon Anderson in January 1980, Rick broadened his musical horizons further through his work with lyricist Tim Rice on a musical adaptation of George Orwell’s ‘1984’, and his now blossoming film work, which included composing the music to movies about the 1976 Winter Olympics (White Rock) and the 1978 & 1982 football World Cup competitions (Gole & Hero respectively). 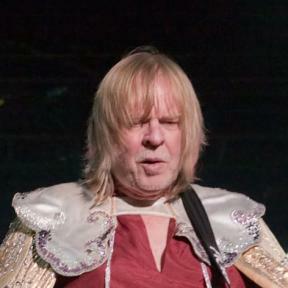 Additionally, he started to become a regular guest on major shows on British Television and Wakeman’s audience and reputation survived the 1980’s better than almost any progressive rock star of his era, as he continued releasing albums on a variety of labels before setting up his own label at the end of the decade. As the 1990’s progressed, Rick continued to complete and release a wide variety of solo albums, including the EMI Classics release of ‘Return to the Centre of the Earth’, together with armfuls of TV appearances and live performances. 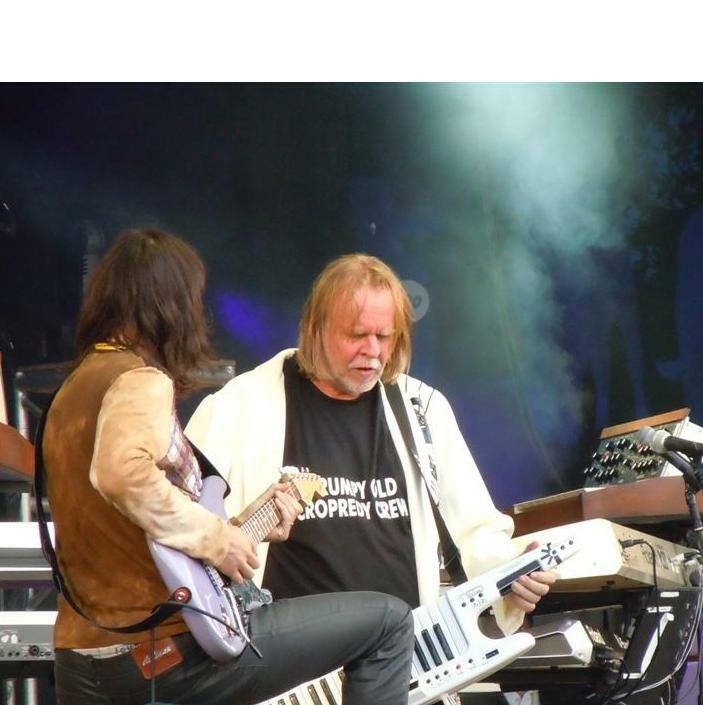 ‘Return…’ was a mammoth undertaking and included the London Symphony Orchestra, English Chamber Choir and featured a who’s who of musicians and vocalists, including Ozzy Osbourne, Trevor Rabin, Bonnie Tyler, Katrina and Justin Hayward of the Moody Blues.